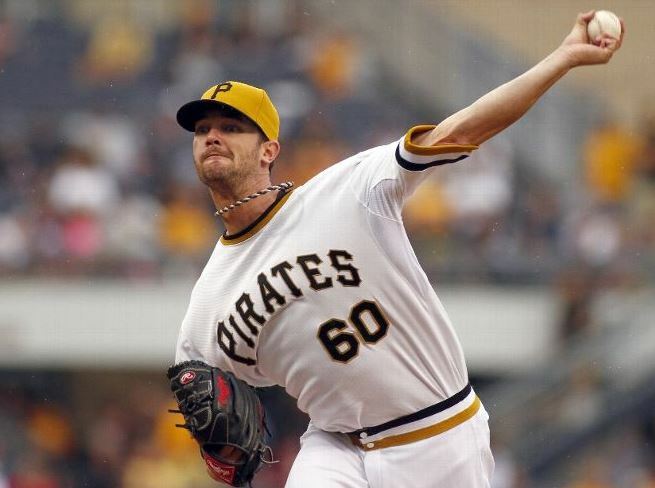 Kris Johnson is a 28-year-old rookie pitcher for the Pittsburgh Pirates. He attended Blue Springs High School in Missouri from 1999 to 2003. As a Wildcat, the left-hander dominated on the mound–throwing five no-hitters and was ultimately drafted in the 50th round by the Anaheim Angels after his senior season. Yet, he declined the offer and took his pitching talents to Wichita State University. As a freshman for the Shockers, he lead the Missouri Valley Conference with a 2.01 earned-run average. After a successful NCAA career in Wichita, Johnson was selected in the 1st round (compensation portion), 40th overall by the Boston Red Sox in the 2006 MLB Draft. He promptly agreed to terms with the Red Sox–receiving an $850,000 signing bonus. As an aside, according to my brother-in-law and sister (his good friends), KJ used part of his bonus to buy a brand new Lexus and with the guidance of his father, he invested the rest of it. In short, things did not pan out for KJ in the Red Sox organization. He was 28-49 with a career ERA of 5.10 and had a troubling 12.63 ERA in 20.2 innings for Pawtucket (Boston’s Triple-A affiliate) before being released in 2011. After five unsuccessful seasons in the minors, most guys would have considered quitting. Not KJ. As my sister has told me, KJ is a pretty stubborn guy, and to be frank, he still trusted in his pitching ability. Thus, in 2011, the Pirates decided to give the former first-rounder a shot. Well, guess what SB Nation, KJ was able to turn it around in the Pirates’ organization–he became a solid professional pitcher, not a batting practice pitcher. After having two successful minor league seasons in 2011 and 2012, he came into 2013 looking to improve even more, and this is exactly what happened. This year, for the Indianapolis Indians (Pittsburgh’s Triple-A Affiliate), KJ went 10-4 with a 2.39 ERA in just under 136 innings pitched–a stellar performance deserving of a shot in the big leagues. On August 18th, 2013, seven years after being drafted, KJ finally had his major league debut, and it will never be forgotten. 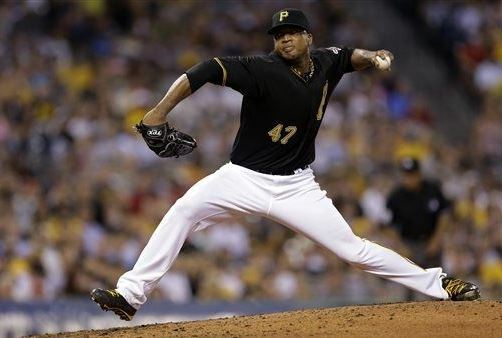 The Pirates were deadlocked with the Diamondbacks, 2-2 in the 11th inning when KJ got the call to enter the game. It is almost hard to believe what happened next. He ended up pitching a full six innings in relief for the Pirates. Sure, he allowed two runs in the 16th that lead to the loss, but he saved the Pirates bullpen and showed flashes of pitching ability. Allowing just two runs in six innings would make most teams ecstatic if it came from a starting pitcher. Thus, because of his strong performance in relief, he got his chance to start for the Pirates in a pivotal game against the Cardinals on September 1st. A pitcher, who had once been classified as a “bust” was pitching for a team competing for a division title in September. The start did not go well for KJ–completing just two innings while allowing five runs. The Cardinals beat the Pirates, 7-2. A tough outing like this could break a pitcher down. Yet, he had been through struggles before over the past seven years, and with the expanded rosters in September, he knew he would get another shot. That next shot came last night (September 6th) after the Cardinals broke out to an early lead against the Pirates. AJ Burnett got roughed up for five runs in the first three innings, so the Pirates turned to KJ to “stop the bleeding,” and this is exactly what he did. KJ pitched two perfect innings–allowing zero hits while striking out three. His last strikeout will likely be a memorable one for him–making Carlos Beltran look foolish on a sinker down and away. In three major league appearances, KJ’s numbers do not look very good–0-2 with a 6.30 ERA. Yet, this is a very small sample size, and if last night is any indication, he will keep getting better with more big league experience. He has the stuff to be a successful major league pitcher. 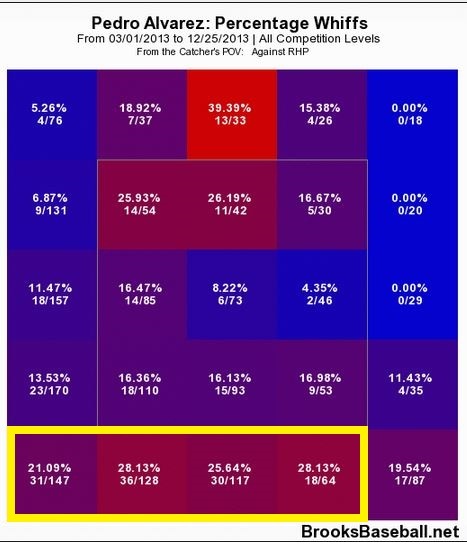 According to BrooksBaseball.net, he has thrown his sinker up to 95.17 MPH this season with somewhere between seven to ten inches of tailing action on it. He complements his sinker with a hard slider that comes in around 84-86 MPH. Yet, to me, his best pitch is his changeup. I know this may be a stretch, but some of the changeups I saw him throw last night resembled those of another lefty, Cliff Lee. The changeup comes in around 84-85 MPH, and in his MLB debut, it averaged 10.52 inches of horizontal movement. Thus, by now I am sure you were wondering why I titled this post the way I did. Well, here’s why. To me, the “American Dream” is finding something in life that you truly love and sticking with it no matter what anyone else has to say about it. You choose when to move on from it, not someone else. KJ struggled throughout the minors at times over the span of seven years, and I am sure many scouts out there figured he was just another first-round bust. Writers out there even took the time to call him a “batting practice pitcher.” Yet, he believed in his ability, and partly due to his stubbornness, he stuck with the game that he loved. Now, after all he has been through, he is pitching for a major league team in the hunt of a division crown. If that is not the “American Dream,” then I do not know what is. I was able to ask him a few questions via email because my sister and brother-in-law are friends with him. She texted him and asked, and he was more than happy to help me out. This took place before his start against the Cardinals on September 1st, but I waited until now to post it given the outcome of that game. StlCupofJoe: How has it been traveling back and forth between Triple-A Indianapolis and the big leagues with Pittsburgh? Kris Johnson: Well it’s never fun to be sent down, but its even more rewarding to get that call back up. Stl: Who have you learned the most from in your professional career thus far? KJ: There’s a lot of people who have influenced me along this roller coaster of a career so to pick one person out wouldn’t be right, I like to think that everyone has a different perspective, and any little piece of info that’s beneficial is helpful. Stl: Who would you model your pitching style after? KJ: I really don’t know who I would be compared with because there are no two pitchers alike, and that’s what makes this game so great. KJ: There’s a reason why the Cardinals are so good. It’s because anyone in that lineup can hurt you, their average with RISP is I believe the best in the league. Stl: Describe your major league debut. I bet you could have never expected to pitch 6 innings in relief in your first game. Stl: The 2nd time the Pirates called you up, what did they tell you? Did it sound like this one was for the rest of the season? The first game of the crucial series between the St. Louis Cardinals and the Pittsburgh Pirates was truly a spectacle, and this time, the good guys came out on top. It was the bottom of the 14th inning. The clock struck 12:15 AM at Busch Stadium as Jon Jay slid around Russell Martin‘s tag for the game winning run on an RBI slap single by none other than Adron Chambers. Prior to this walk-off win, the Cardinals were 0-40 in games they were trailing after the eighth inning. Well, they are now 1-40, and frankly, it could not have come at a better time. 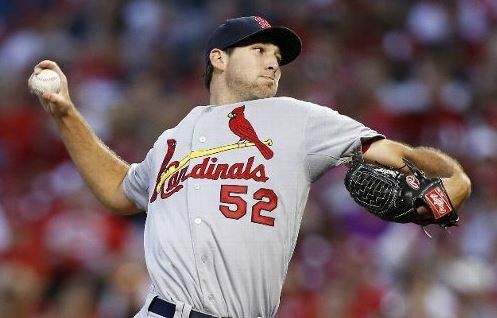 Despite Wainwright’s less-than-ace-like start to the game, he was able to settle in after the first two innings–pitching five scoreless innings to keep his team in the game. He allowed a first inning two-run home run to Andrew McCutchen and then a solo homer to Jordy Mercer in the second. He had racked up 81 pitches through just four innings, leading to many questioning Matheny’s decision of pushing him back. 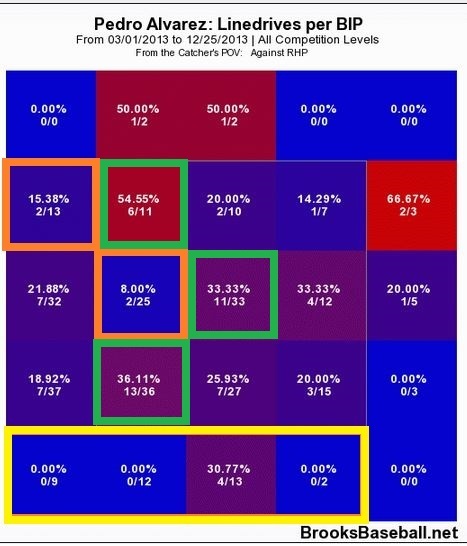 Yet, he was able to constantly battle out of jams to pitch seven full innings–largely due to the fact that he was more efficient in the 5th, 6th, and 7th (just 41 pitches). 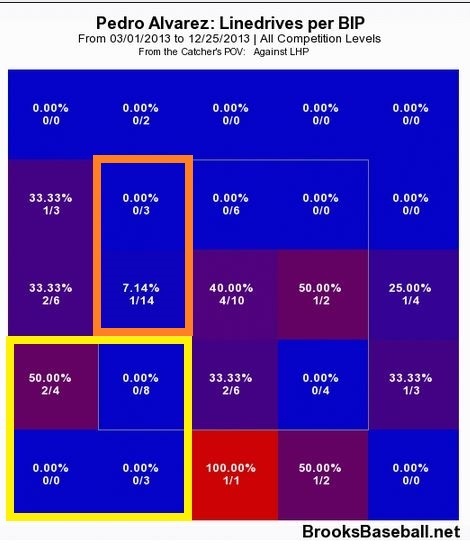 Thus, unlike I had predicted in my post before the game, Wainwright was not dominant like I had thought he would be. However, he did what ace pitchers need to do by keeping his team in the game even though he did not have his best stuff. Thank you, Wainwright. I am glad the offense and the bullpen was able to pick you up in this one. For all the negative fans out there, Waino may not have been dominant in the game, but he definitely pitched like an ace out there. Maness did what Maness does best. He got the job done, even though it wasn’t that pretty. In the top of the 13th, it looked like yet another loss was coming for the Cardinals. Runners on 1st and 3rd and no outs, not to mention that one of the fastest runners in the league was on 3rd in McCutchen. A diving stop by Kozma got the first out of the inning. After an intentional walk, Maness was able to induce yet another double play to get out of the jam he had created for himself. Oh, and I also have to mention that Maness had two chances to end the game at the plate, but he came up empty both times. In the first at-bat, he grounded into an unconventional 6-9c-3 double play, and in his second, he struck out looking. However, I am glad he didn’t end it because it was nice to see Chambers get it done. To be honest, Chambers looked lost at times during his at-bats tonight. However, that is what makes the game of baseball so great. He looked bad, swinging at pitches that were either in the dirt or already in the catchers mitt, yet was able to center one just enough to slap it the other way for the game-winning hit. Great game at the plate once again for Jay. Four more hits to raise his season average to .271. He now has a .344 on-base percentage as well–good enough for 27th in the National League. Since the All-Star Break, Jay is hitting .325 with seven doubles, one triple, and ten runs batted in. He is easily the second hottest hitter on the team behind Matt Holliday. Also, for the sabermetricians, he is finally increasing his WAR rating. He is up to 0.7, and it does not look like he is stopping there. He had probably the most controversial sac bunt ever, at least according to Twitter anyways. Who would have ever thought that St. Louis fans would be mad at him for bunting and wanting him to swing the bat? Not me, I have been one of his biggest fans since his University of Miami days, but many fans have been making up players to take his spot in center all season. I agree that he should not have been bunting there, either. It is just funny to see how a few good weeks at the plate can change fans’ entire outlook on a player. Thus, Jonny, keep doing what you’re doing. You’ll be back .300 in no time. 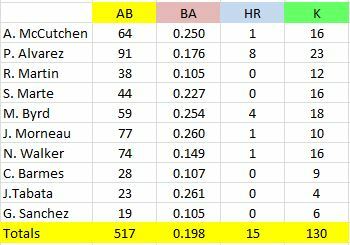 I fully realize that Matheny needs to manage his bench better. However, it is not my place to dog him for his decisions. He is getting paid to do what he does, while I am paying in order to watch what he does. Don’t think that his mis-management of the bench went unnoticed by me, it is just not my job to call him out, and I wanted to savor all the good moments from this game for this post. The Cardinals cannot have a walk-off “hangover” tomorrow. They are up against their lefty nemesis, Francisco Liriano. He carved Cardinals’ hitters up last game, but is coming off arguably one of the worst outing of his career–allowing 10 earned runs in two and one-third innings pitched in Colorado. 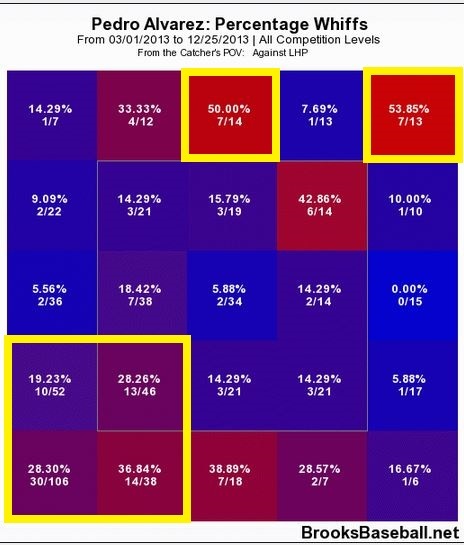 Let’s hope he is shell-shocked from that start, and Cardinals’ hitter are able to capitalize early in the game because once Liriano is settled in, there are no hitters that will be able to hit him. 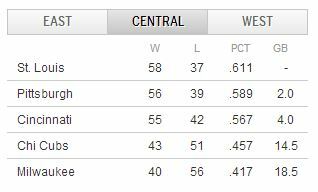 With the win, they are now just 2.0 games behind the Pirates, but it would be nice to make that just 1.0 after tomorrow night. I will be in attendance, and I am looking forward to another electric, playoff-like atmosphere at Busch. Oh, and huge thanks goes out to Starling Marte for being flashy out there in left field on that lazy fly off the bat of Descalso. Maybe next time you will use two hands and not cost your team the game. I apologize for the scattered set-up of this post. However, after a game like I just witnessed, and the time that it was when I completed it, I figured it was only fitting. I honestly believe I just witnessed one of the most entertaining baseball games of my life. Hope this blog was able to do it at least a little bit of justice. With 95 games completed in the 2013 season, the St. Louis Cardinals sit atop the National League Central division–two games up on the Pittsburgh Pirates and four games up on the Cincinnati Reds. When the Cardinals end the season at home against the Chicago Cubs on September 29th, will the team still be in first? Here is a review of the remaining schedules for the Cardinals, Pirates, and Reds to see just what is in store for the NL Central. From a Cardinals standpoint, it is nice to see that the team has 5 more home games than away games on the remaining schedule. However, through 95 games, the team has played to a .600 winning percentage or higher both home and away, so this may not be that big of a deal. It will be nice for fans to pack Busch Stadium III and create a playoff atmosphere down the stretch, though. The Cardinals face teams with a higher winning percentage (.498) than both the Pirates and the Reds (.488 for both). This is unfortunate, but the Cardinals do face teams that currently have losing records for the last six series of the season. The outlook of the season for the Cardinals will be a little clearer after August 4th. The team will have just played five games in Pittsburgh and three games in Cincinnati. If the team is able to remain in first place after those two series, then the outlook for the rest of the season should be a positive one. However, if they fall out of first place after those two series, they will still have an opportunity to make up ground from August 26th through September 8th. During this span, the Cardinals will face the Reds for two series (one at home) and the Pirates for two series (one at home). One big benefit for the Cardinals, as long as they are still at or at least very near to first place, is that they finish the season at home against the lowly Cubs. The Pirates will be in Cincinnati for three games to end the season. These two teams will have just got finished with a series against each other just two series prior. Thus, to end the season, the Pirates and Cubs will be beating up on each other while the Cardinals will have a legitimate shot at a sweep against the Cubs, who will have presumably packed up the tents by then. For the Cardinals sake, I hope Matt Holliday is able to return and be successful sooner rather than later. I hope that Jon Jay can continue to pick it up at the plate–he is hitting .271 with a .364 on-base percentage in July. I hope Chris Carpenter can make it back to the rotation and be effective–this is in doubt after last night’s frustrating performance in Triple-A Memphis. Lastly, I hope that Matt Carpenter, Yadier Molina, Adam Wainwright, Carlos Beltran, Allen Craig, and Edward Mujica can keep up their All-Star level of play for the rest of the season. Is this a reasonable? Probably not, but I hope that the majority of the six stay hot throughout the rest of the 67 games. Thus, needless to say, I am looking forward to the rest of the season. It would be nice if the Cardinals had a bigger lead, but it is good for baseball as a whole to have such a tight divisional race involving three teams. I have said this once and I will say it again. This is a very special team. The team has come down to Earth a little bit lately, but I will stick to my prediction that this year’s Fall Classic will be the Cardinals facing off against the Oakland Athletics.